We have produced PVC and Silicone labels not only for apparel and footwear companies but also to the automobile and packaging industries. PVC labels and patches are perfect for which usually need more unique brand identification methods than just woven labels. Rubber labels, PVC labels and silicone labels and patches are excellent in expressing vivid colors with a 3D effect. others sample will be charged as mold fee and freight for samples will be at buyer's expense. Sample charge is refundable when order is up to a certain quantity. 2: How long is sample lead time9 For existing samples, it takes about 1-2 days. 3: How long is production lead time9 It takes about 7-30 days depends on quantity. 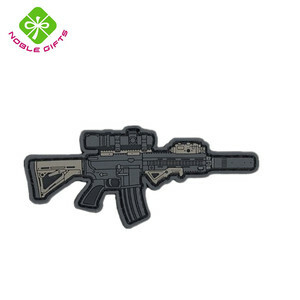 Factory Price Custom 3D Design Rubber Soft PVC Patch For Clothing 1.Factory direct pricing with no MOQ 2. In house f ree artwork design & product design 3.Quality shipment & on time delivery guaranteed 4 . Pantone matched enamel colors and various plating & finish available 5 . ) Others Sample will be charged as mold fee and freight for samples will be at buyer's expense. We supply our PVC patches with a sewing channel around the edge of the label to make for easier sewing. Provide us with your specifications and requirements and we will make the patches to meet your needs. Rubber patches need an injection mould and we will provide you with a quote based on your specific needs. What is the size9 We do customized products,any size we can make according to your requirement. When can I get the quotation9 We usually quote you within 24 hours after we get your inquiry. If you are very urgent to get the quotation, please call us or tell us in your mail, so that we could regart your inquiry priority. 4 YRS Xiamen Yixingda Plastic Mold Co., Ltd.
any questions or problems, feel free to let me know, i&rsquo;d love to help! let us know at first time, and send us the photoes, we'll re-make the lost items for you for free and make claim on this to express. 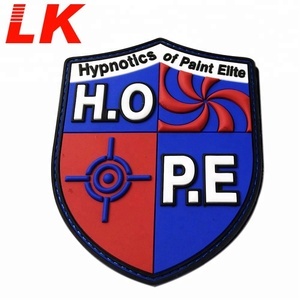 2 YRS Dongguan Linkaiz Crafts & Gifts Co., Ltd.
we are happy to become your next pvc patch maker. pvc is an alternative to rubber and a widely used in many types of products. 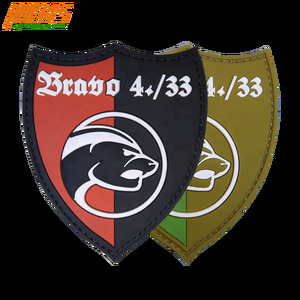 5.Shape: leather patch with metal plate, as per requirement . 7. used for garments, trousers, jeans, bags, luggage, etc. 8. We can provide sample according to customers' design and some related demands for your reference. we also make custom silicone patches with low minimum orders. we have our own factory making metal crafts and lanyard. we are ready for all your questions, creating designs, patches edits as well as updating you with the latest news about your order. we offer unlimited edits before you confirm the production. 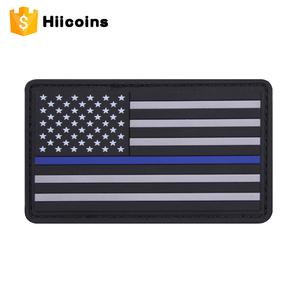 Alibaba.com offers 11,582 3d pvc patch products. About 58% of these are patches, 22% are garment labels, and 1% are plastic crafts. A wide variety of 3d pvc patch options are available to you, such as 3d, eco-friendly. You can also choose from appliqued, embroidered, and printed. As well as from sew-on, stick-on, and iron-on. And whether 3d pvc patch is free samples, or paid samples. There are 11,582 3d pvc patch suppliers, mainly located in Asia. The top supplying country is China (Mainland), which supply 100% of 3d pvc patch respectively. d pvc patch products are most popular in North America, Western Europe, and Domestic Market. You can ensure product safety by selecting from certified suppliers, including 1,659 with Other, 901 with ISO9001, and 379 with ISO14001 certification.